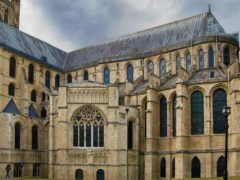 Kent on the south east coast is easily accessible from London in under an hour by road and rail, mixes coastline and rolling downs and is a gateway to Europe with ferry crossings and the Channel Tunnel. Miles of beautiful coast line including the classic White Cliffs of Dover offer panoramic vistas and views of France. Kent borders Essex on the Thames Estuary, along with Surrey, East Sussex, The Straits of Dover and the English Channel. 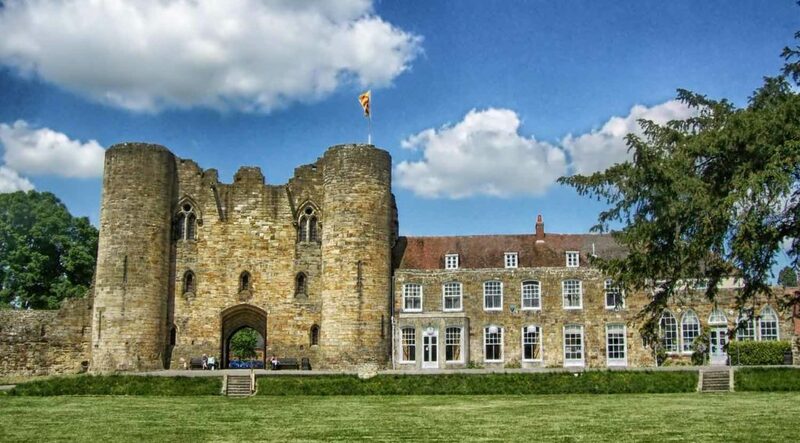 The coastal nature of Kent has seen scenes of conflict through the years, with many monuments and 26 castles including Hever Castle, Dover Castle and Leeds Castle. The Chatham Historic Dockyard established in the 16th century on the River Medway offer an insight into Kent’s maritime heritage and the Navy’s past. Visit Chartwell, Churchill’s home, or the gardens as Sissinghurst. 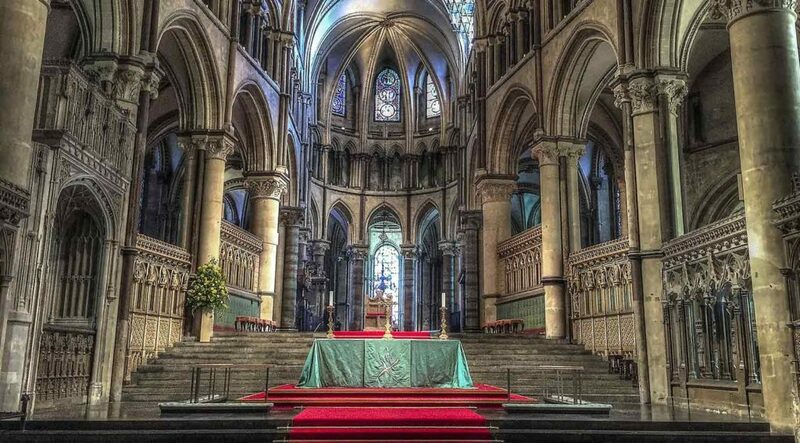 The most famous building in Kent is the magnificent Canterbury Cathedral, seat of the Archbishop of Canterbury since the beginning of England’s conversion to Christianity. Elsewhere you will find the brick built oast houses with their round or square towers, used for drying hops, form part of the classic Kent landscape. Kent is known as the Garden of England due to the number of hop gardens and the growing industry producing an abundance of local produce. 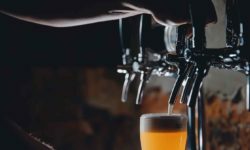 Kent is well known for locally sourced food and drink with specialities such as Whitstable Oysters, Romney Marsh Lamb, Dover Sole and Gypsy Tart. Shepherd Neame, Kent Brewery, Whitstable Brewery are amongst a number of Kent breweries. 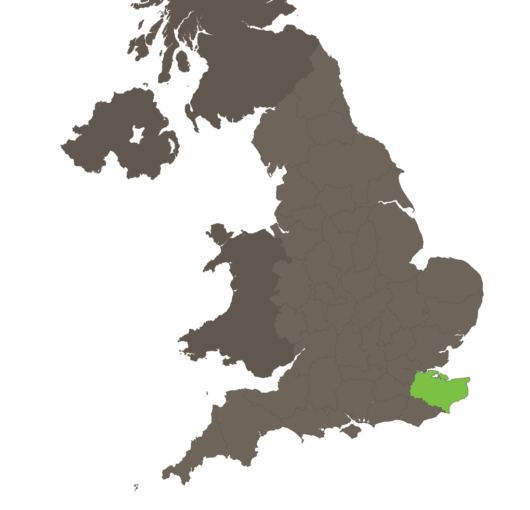 The county of Kent sits on the south east coast bordering Surrey, East Suffolk and is separated from Essex by the Thames Estuary, crossable via the QE2 Bridge and Dartford Tunnel. To the North the North Sea and to the South, the Straits of Dover and the English Channel, Kent being only 21 miles from France. The population is approaching 2m, with the county town being Maidstone. Other significant towns include Canterbury, Dartford, Gillingham and Tunbridge Wells. 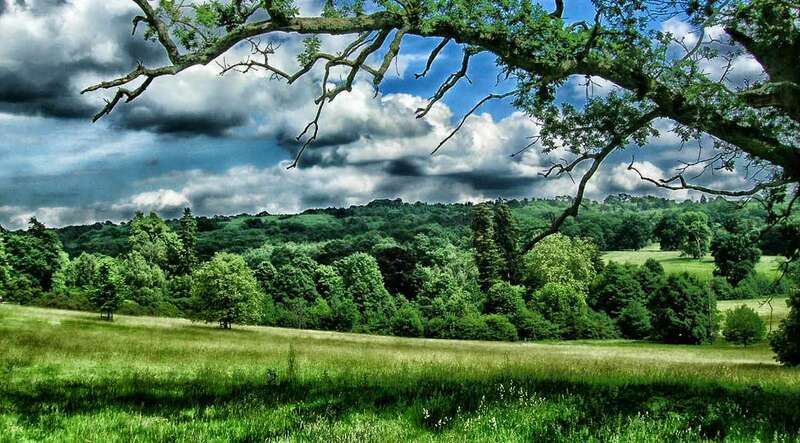 The county has miles of coast line and two Areas of Outstanding Natural beauty formed by the North Downs and the High Weald and has more conservation areas than any other county in England. 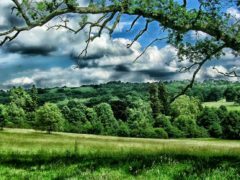 Also known as the Garden of England since Henry VIII’s time due to his liking of Kentish cherries, it is still home to a large number of growers, orchards and vineyards. Kent being a coastal county in close proximity to Europe has been both an important trading location and the site of numerous invasions. The quarries at Swanscombe suggest Kent has been occupied since the Palaeolithic age, whilst the Medway Megaliths were constructed during the Neolithic era. 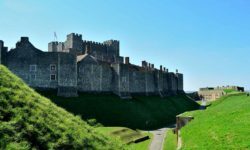 Kent has played a big part in Britain’s maritime history, the medieval Cinque ports and Chatham Dockyard have been particularly important in providing warships for the Royal Navy whilst the river Medway was a strategic base for the 18th century wars with France. Part of Kent’s attraction is the 350 miles of coast line and there are numerous resorts to enjoy. The historic port of Ramsgate is Britain’s only Royal Harbour and its marina has a great selection of restaurants. Discover the beaches or take a boat to see the seals on the Goodwin Sands. There are great walks along the cliffs – you can walk to the old world charm of Broadstairs to discover the sandy bays and beaches such as Joss Bay, Botany Bay and Viking Bay, whilst in town you can visit the Dickens Museum, a host of restaurants and cafes and the retro ice cream parlours. Margate is home to an artistic vibe with vintage shops and galleries including the Turner Contemporary. The traditional charm of Whistable, with its maritime history and laid back atmosphere makes it an ideal place to visit. 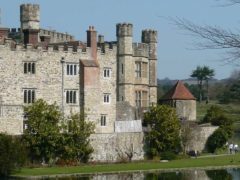 Castles feature prominently across Kent The Chatham area is populated by Upnor Castle, Great Lines and Fort Amherst. Elsewhere you will find castles at Dover, Deal, Walmer, Rochester and Richborough. 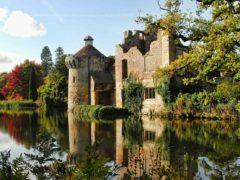 Hever Castle and Scotney Castle are spectacular but perhaps the most impressive of all is Leeds Castle, south east of Maidstone with 500 acres of grounds, a maze, falconry displays and 900 years of history. The White Cliffs of Dover are world famous and the visitor centre provides a wealth of information. Take a cliff walk to view two wrecks, visit Fan Bay Deep Shelter and South Foreland Lighthouse. The Canterbury skyline is dominated by Canterbury Cathedral, part of a world heritage site. 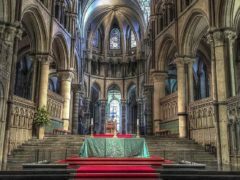 With over 1 million visitors a year Britain’s oldest cathedral remains an important destination for visitors and pilgrims alike. 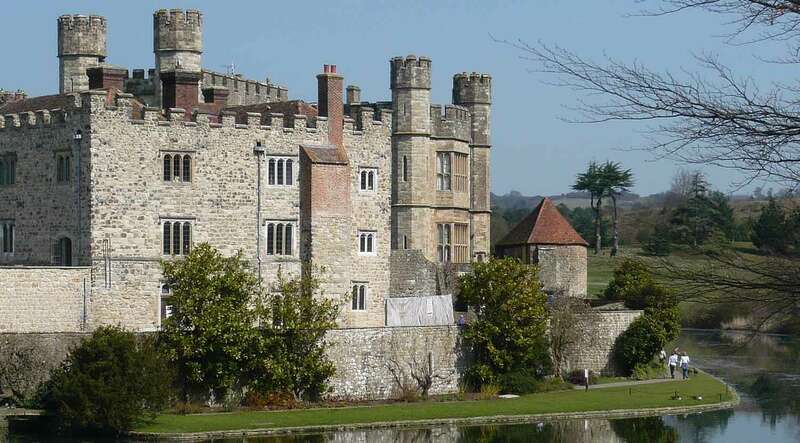 Kent is well known for its gardens, with over 180 different sites including Sissinghurst, Penhurst, Goodnestone and Riverhill Himalayan Gardens. Faversham is home to Britain’s oldest brewery, Shepherd Neame. 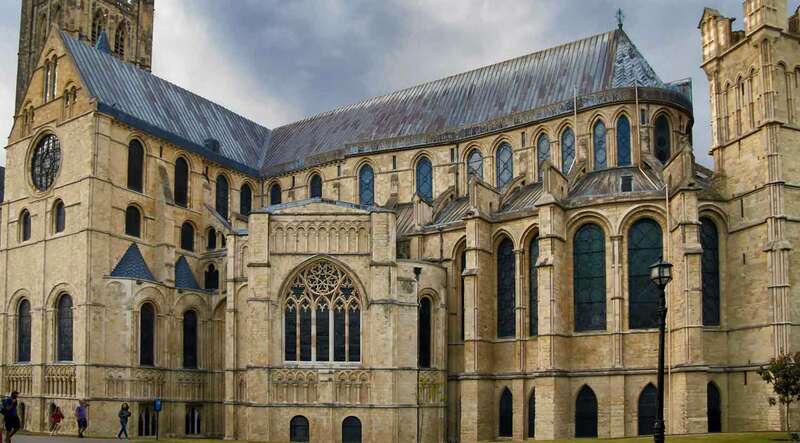 Famous faces from Kent are well known on the world stage, with likes of Winston Churchill, Geoffrey Chaucer – author of the Canterbury Tales, Charles Darwin and Charles Dickens all having lived in Kent. The Rolling Stones musicians Mick Jagger and Keith Richards grew up in Dartford. 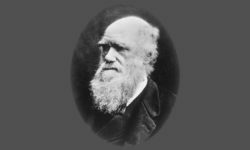 You can find Darwin’s home at Down House where he wrote “On the Origin of Species”. 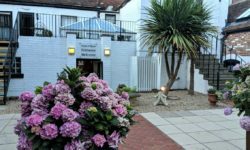 Dickens has a special place in Kent’s history and the county is dotted with sites to visit including the Dickens Museum, Restoration House and the annual Dickens festival held in June at Broadstairs. 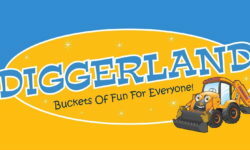 If you are looking for shopping then visit Canterbury, Tunbridge Wells or the Blue Water shopping centre at Dartford. Be sure to check out car boot sales in Kent guide. 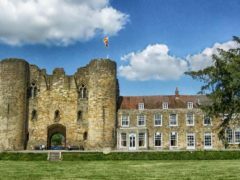 Kent has a wide selection of annual events including the Whitstable Oyster festival in July, Margate’s August Soul Weekend, Ramsgate Festival and the Canterbury Festival – an international arts festival. 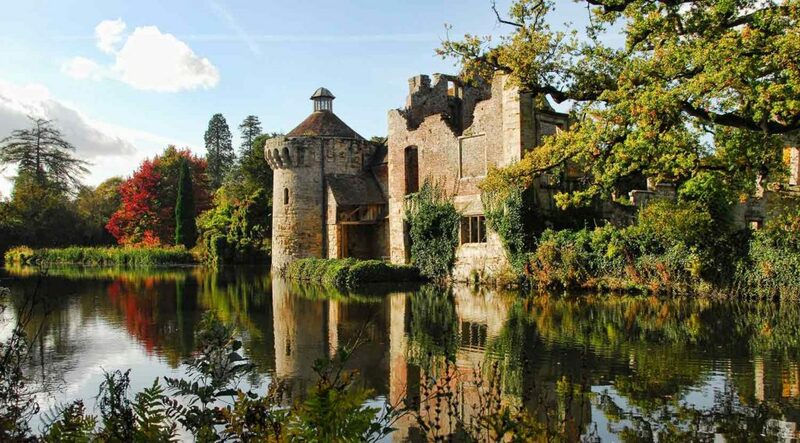 Be sure to read our Things to do in Kent guide for more inspiration. Kent is well connected to the rest of the country thanks to its proximity to London but feels far away. The road network provides access to the county via the M25, M20 and M20. You can reach Kent in under an hour by rail. The Eurostar calls at Ashford, whilst the Eurotunnel departs from Folkestone. Kent is also a major gateway to continental Europe with ferry ports at Dover and Folkestone. Kent also has an airport at Manston. Looking for more information on Kent? Click here to read our in-depth Kent guides.